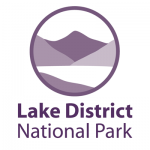 Around 200 people work for the Lake District National Park Authority. Much of our work is behind the scenes but vital in keeping this corner of England special. Respecting the past – this does not mean keeping things in the past. It’s more about taking things from the past into the future. Caring for the present – the National Park has always relied on the people living and working in it. In more recent centuries people have visited here to relax, enjoy themselves and be inspired. We work with different groups to balance their needs with those of the landscape. Sometimes this requires high-quality negotiating skills to overcome complex and challenging issues. Our role in planning is not just to control development but to support the management of development with people – not alone. More than 400 fantastic people from all walks of life volunteer regularly for the Lake District Volunteers Service. They give their time, skills and energy to help look after the landscape, enable visitors to enjoy its special qualities and support the wider work of the National Park Authority. To volunteer with us you need to be aged 16 or over and there is no upper age limit. We also run a Young Ranger programme for young people aged 14 – 18 who are keen to get involved with very hands on practical volunteering. Volunteers help us in lots of different roles. We recruit for some roles all year round, while others are seasonal. Different roles have different time contributions – ranging from one day for one off activities such as marshalling events, to 20 days a year for some of the more specialist roles like Lake Rangers.